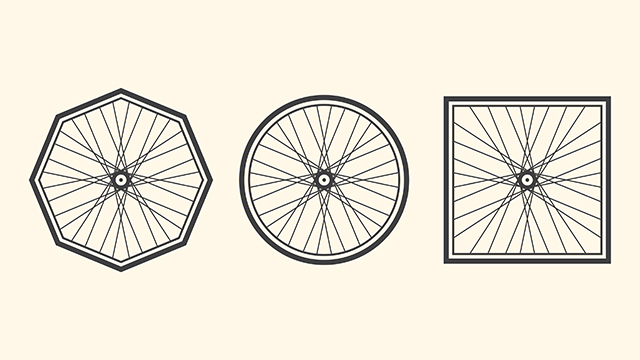 Teaching: When should we stop inventing the wheel? This year, I have developed or collaborated on no less than five different systems for mid-term curriculum planning. I have spent the year seeking out examples of ‘best practice’ among my department which I have diligently recorded in an ever-growing spreadsheet, seemingly sprawling into some infinite future. I have created new resources for every single unit I have taught, including those units that I have taught one, twice, three or four times before. And my lessons have been a string of experiments in new ideas and pedagogies, born of ongoing debate with my colleagues. To use CV speak, I am currently in my eighth year of teaching and entering my fourth year at my present school. So why does my job still resemble a training ground of experimental practice and revisioning what has already been revisioned? The obvious (and hopelessly erroneous) answer is that I am a perfectionist. You hear this a lot in professional circles; individuals who either claim to be perfectionists and say so in order to validate insecurities over their performance (which more or less everyone has) and those people who point the finger at ‘perfectionists’ as somehow inefficient and unable to prioritise properly (bad managers). This is not the case, though I once thought it was. I once thought, maybe not explicitly but somewhere in my psyche, that there was such thing as ‘best practice’, a kind of pedagogical holy grail that could be sought, achieved and held on to into long the grey UPS years. At the end of year one at my current school, I spent a very frustrating summer term trying to document and package all the best practice that we had evolved/ stumbled upon/ conjoured/ delete as appropriate since September. But the fact is that best practice is a myth. Last year, a much celebrated Head teacher/ super-Head/ guru/ Executive Head/ delete as appropriate took me to one side and, Obi Wan like, explained the significance of next practice over best practice; the idea that teachers should be continually looking towards the next best thing rather than searching round and round for THE best thing. A subtle and useful distinction, yes, but that still doesn’t quite address my year of wheel invention. ‘Why reinvent the wheel?’ is a question that many managerial types might throw at their subordinates in the search for greater efficiency. Why not take what works and roll that out? Or, (for the funkier managers out there) why not take what works and roll that out, with a few tweaks? You can see the logic, but what this practical and logistical approach to teaching fails to recognise is twofold: 1) that inventing the wheel is an engaging challenge and 2) that a wheel can be invented over and over again. In his book on the hidden machinations of the human brain, ‘Incognito’, neuroscientist David Eagleman posits the idea that much of our brain’s powers of invention lie not in its ability to find THE solution, but in its tendency to keep on looking for solutions even when a perfectly good solution has been found. To put it simply, the brain is hard wired to work out different ways of achieving set goals. It’s the difference (to steal an analogy) between the handyman with one tool vs the handyman with 100 toolkits. Even if the hammer is missing, handyman B can use a wrench, or spanner, or whatever. Handyman A, with the lonely screwdriver, might be at a loss. In all of this, the role and purpose of experience becomes interesting. Does it help the perpetual evolution of solutions by giving a broad context of what has and has not worked? Or does it hinder progress by offering too many ‘successful’ wheels to fall back on? Something to think about. 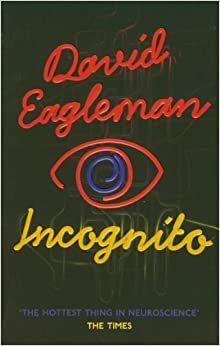 For a far more detailed insight into these neurological ideas, I highly recommend reading ‘Incognito’ by David Eagleman. For a far richer debate on how this might impact upon your teaching, I highly recommend talking about this blog post with your colleagues.